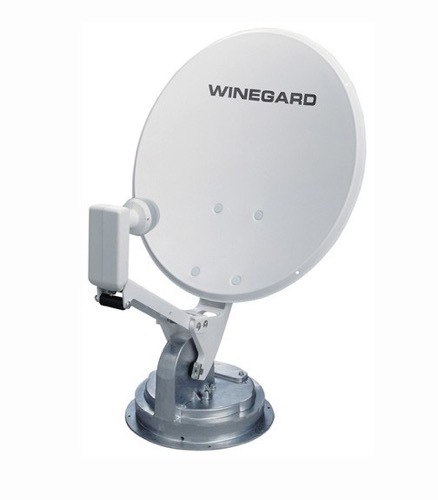 Please check out our Dishes DBS FTA DirecTV Section for similar products!!!! Raise, rotate and lower the dish with the hand crank inside. The LNBF is attached to a folding feed support; the mount/dish unit has an operating radius of only 35 inches, so compact it will fit on almost any recreational vehicle. Interior control parts are sturdy molded plastic. The system is 30 inches high when raised, 8 inches high in travel position, weighs just 12 pounds! Includes 20' of coax cable.